Although the best way to catch a lot of the bands playing at this year's Lollapalooza music festival is to go to the fest itself, standing around in the August heat with thousands of other people is not everyone's favorite thing to do. If you're up for a concert, but not for the festival experience, there are still a lot of Lolla pre- and aftershows in town starting the day before the fest. Although a lot of Lolla aftershows have already sold out, at the time of publication, all of the following listings still have tickets available. Tickets for the show in question are available by clicking on the related venue name. 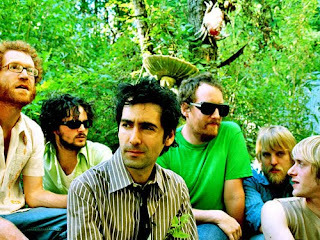 I highly recommend shows marked with an asterisk (*), with my top weekend pick being Blitzen Trapper's aftershow Saturday. And if you just want to see live music at a good venue (and don't particularly care if the bands are also playing at the festival), there is a list of some recommended Lolla alternatives at the end of this article. Enter for a chance to win a pair of tickets to see your favorite artists at Lolla!